Do you love music? Do you also love gadgets? Of course you do, we know what you lot are like. As if we had to ask! Well, the gadget loving people over at MusicRadar's sister magazine T3 need your valued opinions. As of today the final shortlists are announced and the voting is open for the technology magazine's much-coveted Gadget Awards. Among the categories, and of particular interest to us at MusicRadar, is the shortlist for the 2010 Music Gadget Of The Year - check out the nominations below. Last year Sony pipped Apple to the post to take home the award for their OLED touchscreen X-Series Walkman. But who should take the prize this time around? Is it the turn of Apple's seemingly unstoppable IPod Touch? Or should one of the other bits of kit take the prize? 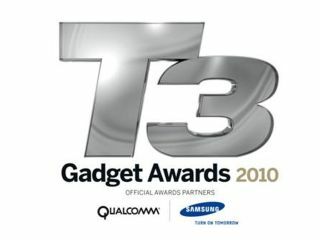 Head over to the Gadget Awards site to get voting in this, and any of the other categories, now.